Daniela Muñoz is the Médecins Sans Frontières logistics coordinator for the mass meningitis vaccination campaign in both Nigeria and Niger. She shares the logistical challenges of these types of campaigns. 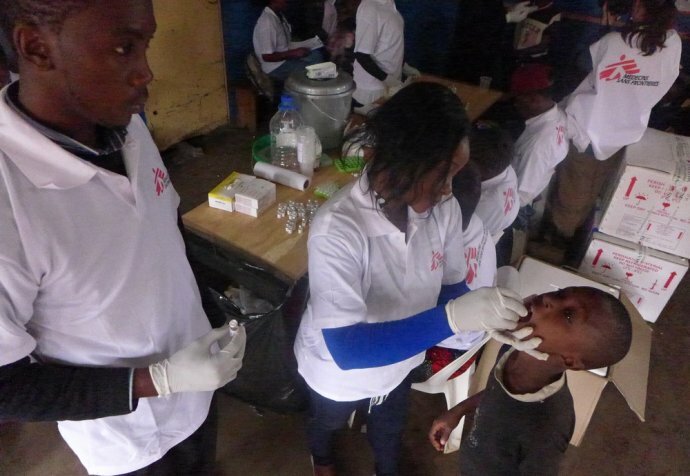 “Every single last detail must be controlled when you organise mass vaccination campaigns such as the meningitis intervention that Médecins Sans Frontières is currently undertaking in the northern Nigerian state of Yobe. Successfully vaccinating 136,000 people in a week, in remote areas and with temperatures exceeding 40 degrees Celsius, requires thinking even about the pens that one will need. The most delicate and essential part is maintaining the cold chain: that is, keeping the vaccines at a constant temperature of between 2 and 8 degrees, otherwise the vaccination loses its full effect. 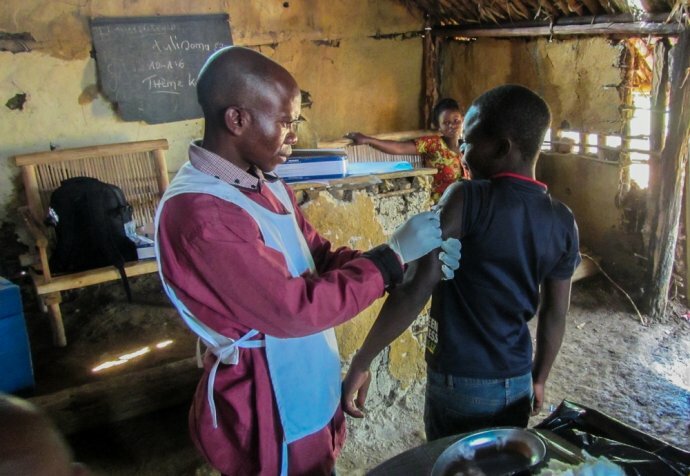 "The most delicate and essential part is maintaining the cold chain: that is, keeping the vaccines at a constant temperature of between 2 and 8 degrees"
From the time the vaccines leave Europe until vaccinators use them in the field there is a long journey, in which dozens of people participate, and we need to ensure the material is supervised always. Once the vaccines are flown into the capital of Nigeria, Abuja, they are then transported in refrigerated trucks to a cold room in the Ministry of Health, where distribution to the bases of the state of Yobe is organised. For this trip, we use portable coolers loaded with the necessary ice-packs to last for a journey of several hours by road. When the vaccines reach the operational bases, they are stored in electric fridges run by generators. From there the teams coordinate the dispatch to the districts affected by the outbreak. Choosing the right transport is not easy either. For example, air traffic to northern Nigeria is limited because Médecins Sans Frontières can only use the United Nations or Red Cross flights that arrive at the nearest airport in Maiduguri. They are small aircrafts that only allow light cargos. This forces us to transport the cargos to the bases in Yobe along main roads, which are in good condition and do not present security problems. However, the same does not apply at vaccination points. Some places are more than a two-hour drive from our bases and there is no other option than by car. We can’t risk walking because of the possible presence of members of ​​the Boko Haram in the area. Our logisticians control the movements of the cars at all times as well as telecommunications by radio, mobile and satellite telephones.